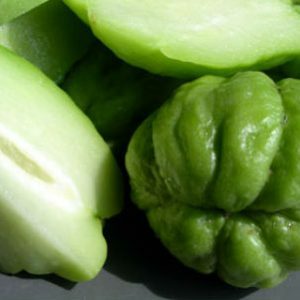 Chow Chow or Chayote is commonly used in South India to make Kootu, Kurma or Poriyal. 1. 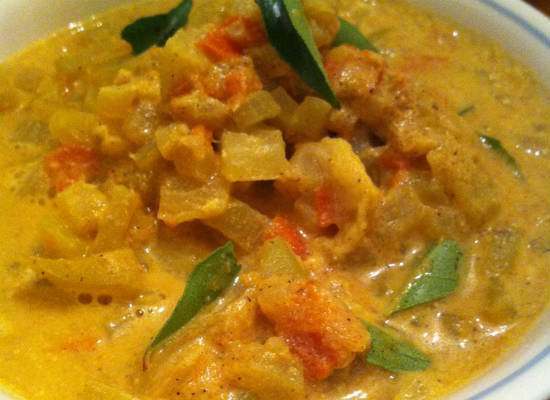 Grind the coconut, green chillies, saunf and gram flour with little water to a smooth paste. 3. Fry the tempering ingredients for 30 seconds. 4. Add the garlic, onions and tomatoes. 5. Saute for 2 to 3 minutes. 6. Add the chopped chow chow pieces and 1 cup of water. 7. Cover and cook for 3 to 5 minutes. 8. Add salt and ground paste. 9. Stir well and add some more water if too thick. 10. Simmer until it starts to bubble. 11. Remove and serve hot with rice or as a sidedish with roti. 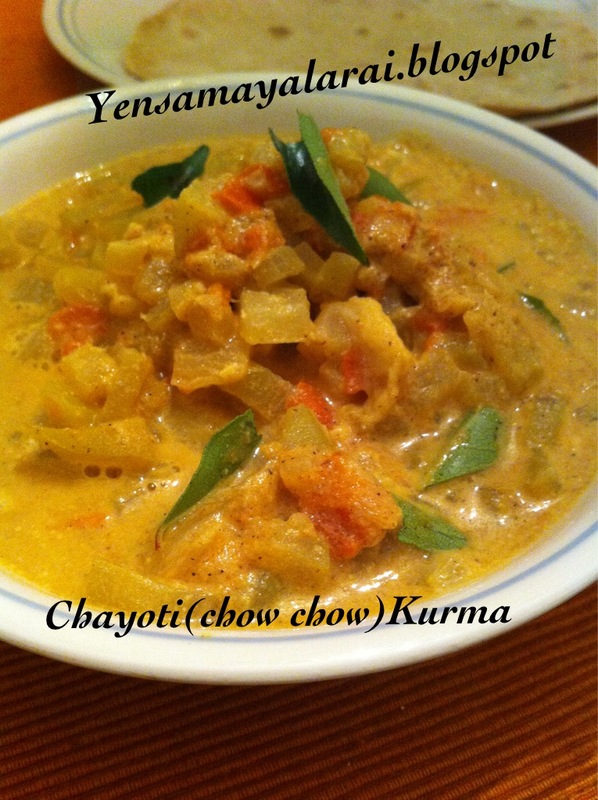 Feel free to comment or share your thoughts on this Chow Chow (Chayote) Kurma Recipe from Awesome Cuisine.